He is an excellent student. He finished Bachelor of Arts in Ateneo de Manila University at the age of 15. At the age of 19, he went to University of Santo Tomas to study pharmacy but he finished the course in Barcelona, Spain. He got his Doctor of Medicine title in Madrid. He also studied in France and Belgium. When he was in Belgium, he was mentored by General Leman (a hero of Belgium). He learned advance military tactics specializing in guerrilla warfare from the Belgian hero. The great general is also a chemist. In fact, he wrote an award-winning scientific paper about malaria. He’s gifted with so many talents particularly in arts and music. In fact, he was an excellent guitar player during his days. He is a wordsmith. He displayed his writing prowess by writing in La Solidaridad with “Taga-Ilog” as his pen name. 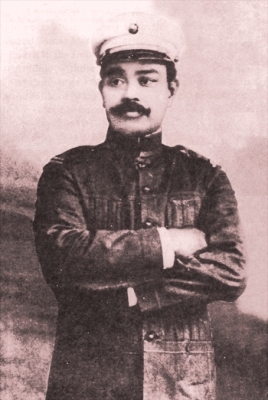 Gen. Antonio Luna had a love affair with Ysidra Cojuanco. Historians claim that their love-child became one of the patriarchs of the famous Cojuanco clan. There are rumors that the Cojuanco clan had a share from Gen. Antonio Luna’s riches. Luna used to bring gold to Ysidra Cojuanco when they were still on the courting stage. Also, their child inherited the riches of Luna and Cojuanco. History specialists claim that Gen. Antonio Luna was assassinated under Gen. Emilio Aguinaldo’s command. They said Aguinaldo was threatened by Luna’s rise to power. He sensed that Luna might overthrow him as the leader that’s why he had him killed. Instead of dying by the hands of the enemy, he was killed by his own countrymen. His death was tainted with betrayal. He received 40 wounds from the traitors who mobbed him behind his back. 10. According to historian Rene Alba, Luna encouraged the Red Cross to raise funds and use them to buy gifts for the soldiers in the battlefield. He did that to boost the soldiers’ morale and to be updated with the soldiers’ needs. We Filipinos are lucky that Gen. Antonio Luna existed. He fought the colonizers until his last breath. He made us realize that this country is worth fighting for. We should learn from him by having a sense of nationalism inside our hearts. My name is Chad and I manage TheLuggageList.com, a site that specializes in luggage reviews and travel tips. I saw in your Travel Links tab that you are open to exchanging links, but I wasn’t able to submit a form so I just added a comment here. We are looking to expand our Travel Resources page with a section for Travel Blogs, and we’d love to add your site along with a short paragraph that tells our readers about it! In exchange, we would be thrilled if you could add us as a resource, or perhaps allow us to write a guest post. Doing this would be mutually beneficial as it will help attract more visitors to both of our sites. Let me know what you think!